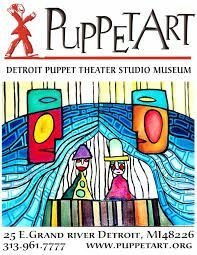 Founded in 1998 by European trained artists, PuppetART established its home in the heart of Detroit’s theater district to promote puppetry as a crossroad of all art forms and a refl ection of human diversity. Now in Southfield, it is composed of a museum, a studio, and a theater. This trip includes a guided tour of the museum by founder and artistic director Igor Gozman. The museum is home to rotating exhibits of puppets from around the world, as well as puppets related to the history of puppetry in the city of Detroit. The second part of the trip is into the theatre to experience a performance of Sleeping Beauty as this classic fairy tale comes to life as a marionette ballet. Happy ending guaranteed! Lunch first at Nomad Grill (not included in ticket price).